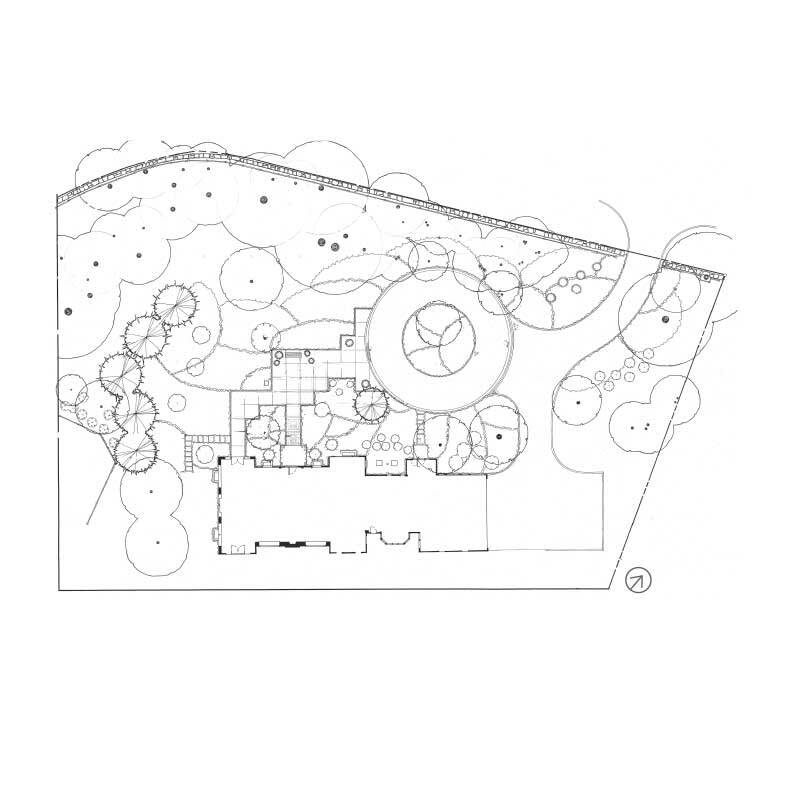 The Australian owners of an American Shingle Arts and Craft Style home situated on approximately three acres wanted a landscape reminiscent of their “Bush” landscape. 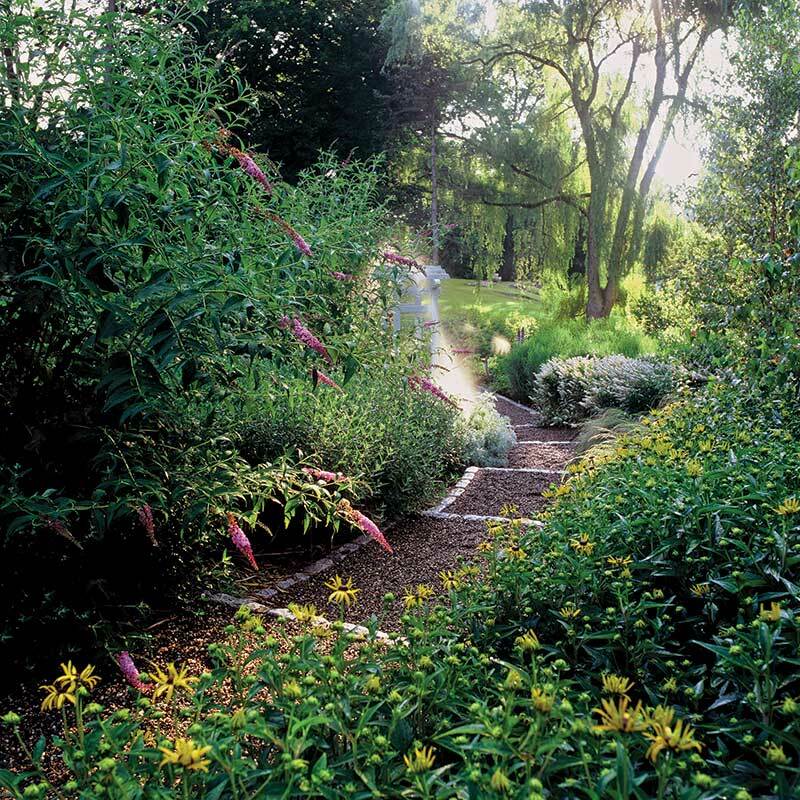 This was done with American trees, shrubs, grasses and forbs for a garden that provide interest in all four seasons of interest. 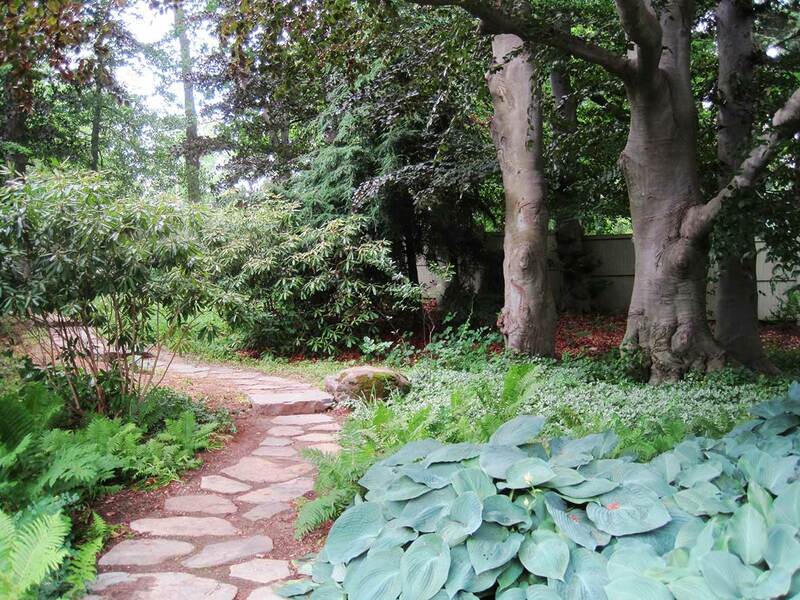 Evergreens punctuate masses of perennials with a rich texture, movement, color and fragrance. 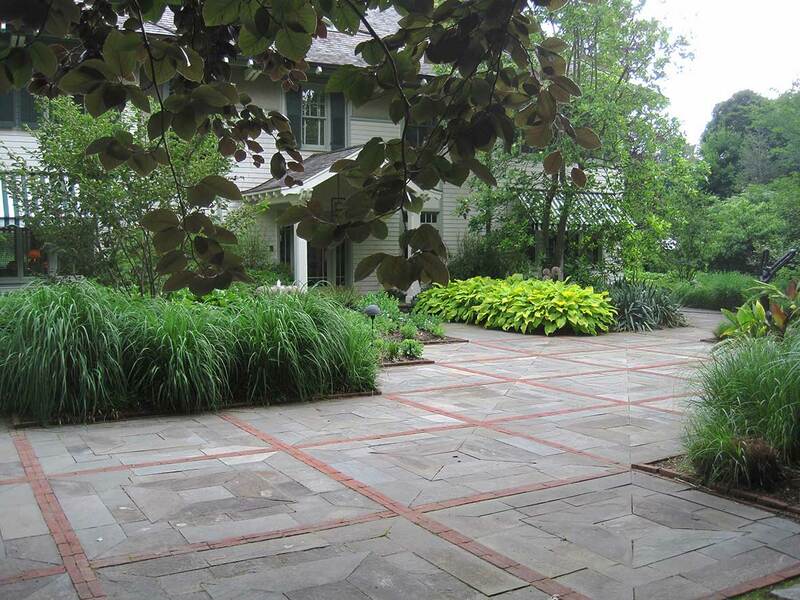 The garden’s hardscape elements complement the historic integrity of the architecture. An entry garden features an intricate paving pattern of cut bluestone squares connected with brick stringer and soldier courses. A monolithic granite fountain fashioned after a lotus flower is on axis with the interior stair tower providing the sound of water in the entryway and a visual accent visible from inside the house. The south terrace features large stone planters with cascading roses along with a place to sit. 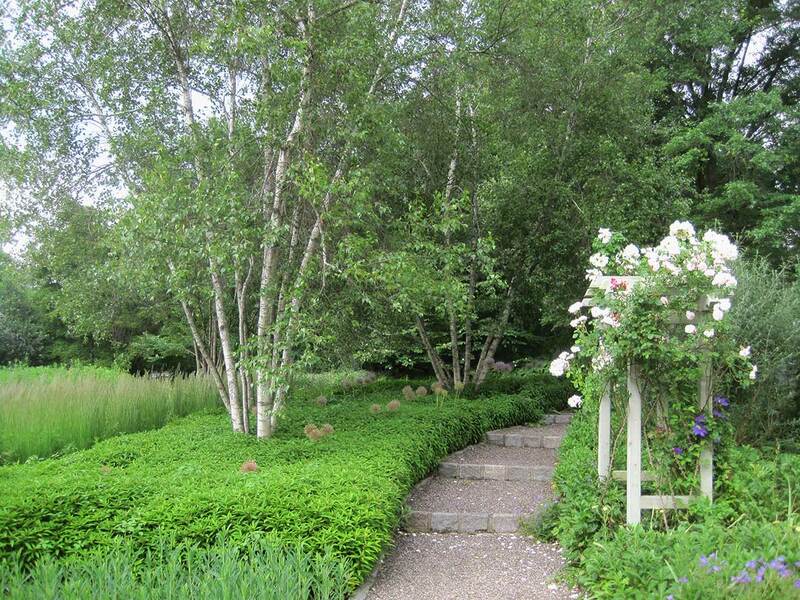 Broad lawn steps lead down from the terrace to the great lawn below that sweeps between perennial borders to an adjacent pool house and garden. 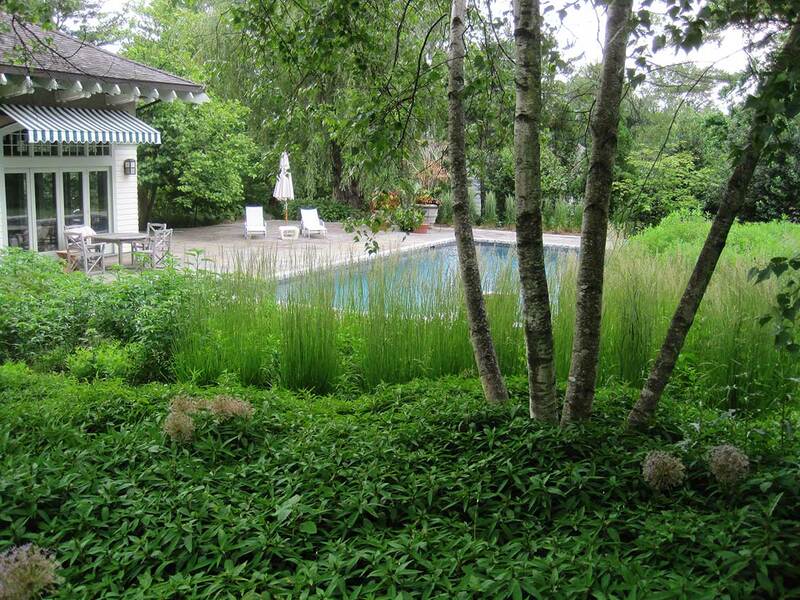 A lily pool garden is centered on the kitchen window and features aquatic flora and fauna with framed views of an adjacent country club’s golf course. 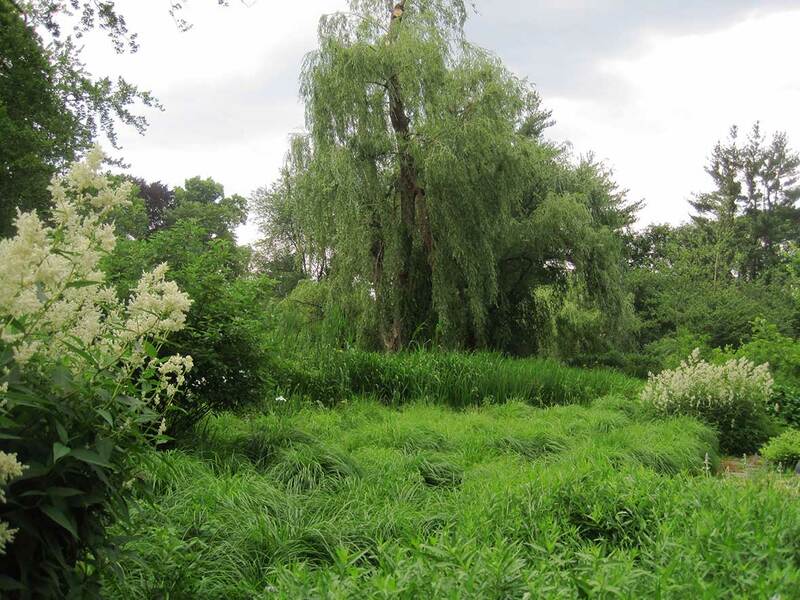 A stream forms the border of the property and has native wetland plantings appropriate to this ecologically sensitive area. Ballet … is my love when it comes to dance, and this enthusiasm helped me during my firm’s creation of this stunning garden. 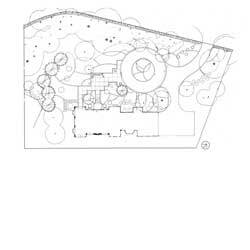 James van Sweden and Tom Christopher, The Artful Garden: Creative Inspiration for Landscape Design (New York: Random House, 2011), 117. Felber, who passed away in 2015, was a lifelong New Yorker. He began his photography career as a commercial photographer of still lifes and interiors, later finding inspiration to pursue garden and landscape photography. His work has been featured in magazines and books, including Martha Stewart Living, House & Garden, Architectural Digest, Beautiful American Rose Garden, and Potted Gardens.